Well, it looks like it is time to update the ole' members system file again. It's been a little over year since i first showed up here and I have made a lot of progress and learned a lot. For that I appreciate everyone's help. It didn't take long for OCCD to set in and I promptly set out to do what is required to maintain my membership in good standing on this forum, buy buy buy. Soon I settled down and started focusing on my main system. 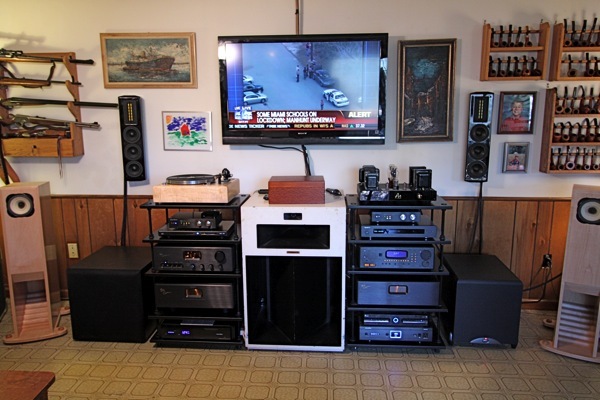 The acquisition of 3 Klipsch La Scalas and a pair of Klipsch Heresey speakers would set up my Home Theater speaker requirements. You will notice the 30 year old $ 20 dollar Sears TV holding up my Onkyo HT receiver just started looking, well dated and cheap. And no the ten year old Onkyo receiver just wasn't cutting it anymore. Here is the latest config of what I have, anything look familiar? Here's the view from my Lazy Boy. I have my TG IV driving HT. 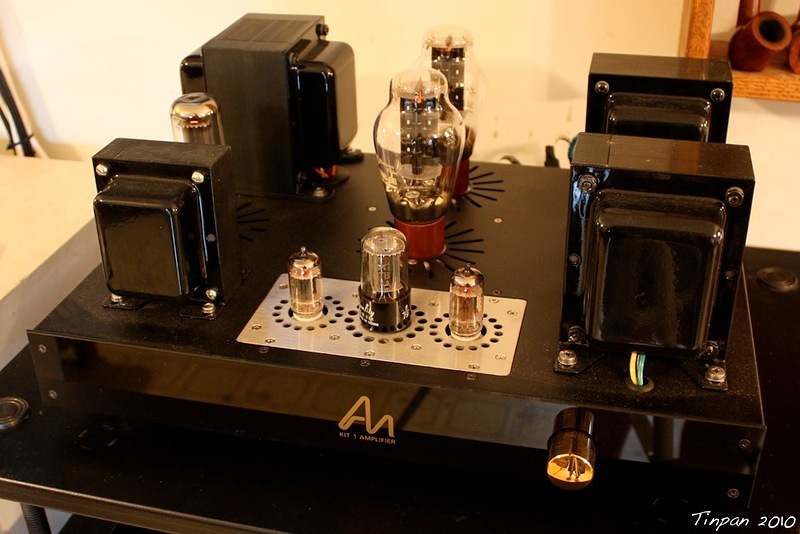 I can listen to the AN 300b SET tube amp driving the Lowther Alerions, I can listen to the Sunfire Classic Tube amp driving the CRS-3s or the TG IV driving a pair of La Scalas. Big difference from my old Sears TV stand, eh? I use the Direct TV to feed the Audio for movies my Sunfire TG IV and the video via HDMI to my 46 inch Sony LCD TV. 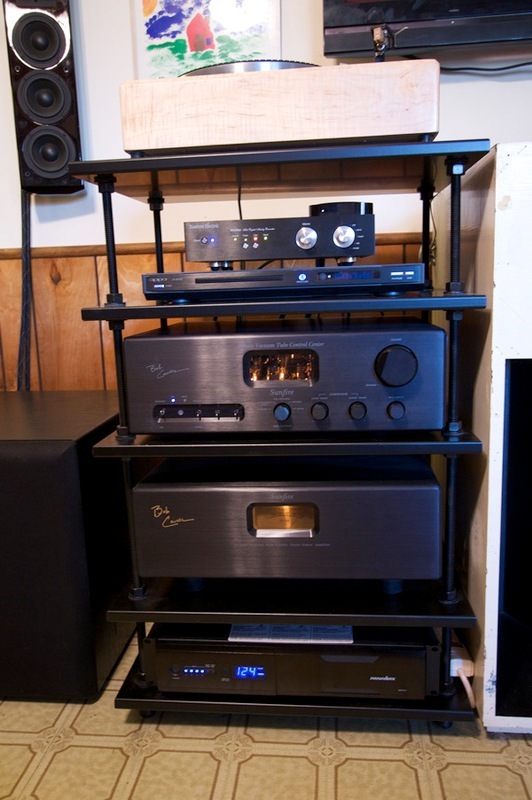 Here is view of both racks, they fit perfectly on the both sides of my La Scala. 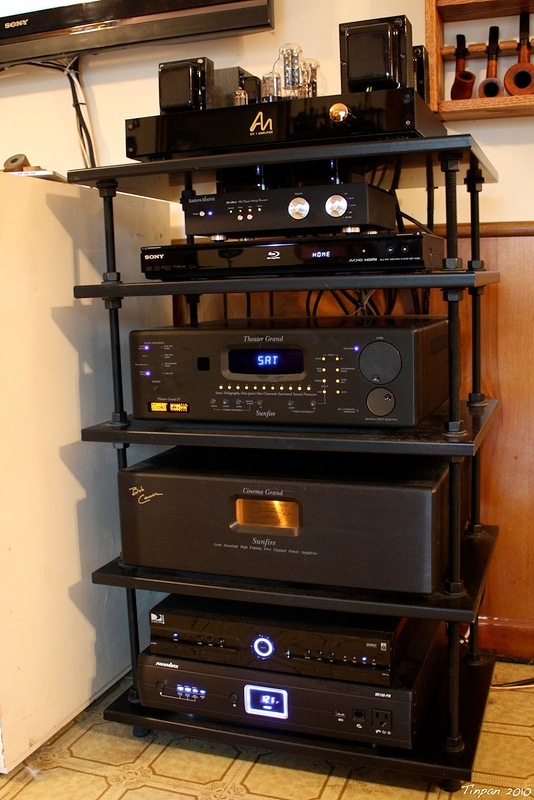 The right rack has all of the equipment I previously listed except I upgraded to the Oppo BVD 93. 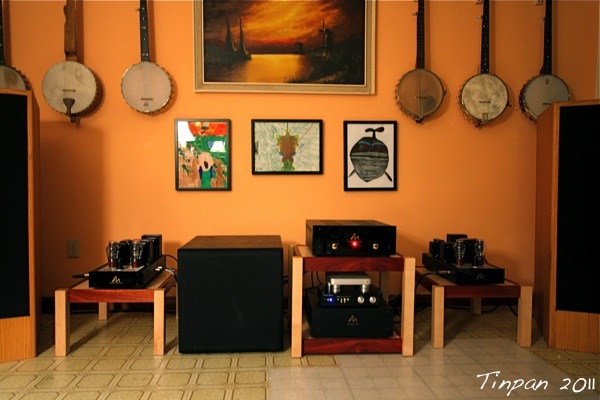 On the left you can see the Rythmik Audio F15 sub, another Panamax power unit, the Sunfire Signature Stereo Amp, the Sunfire Classic Tube pre-amp, an Oppo H981 dvd player and a Thorens TD60 turntable. 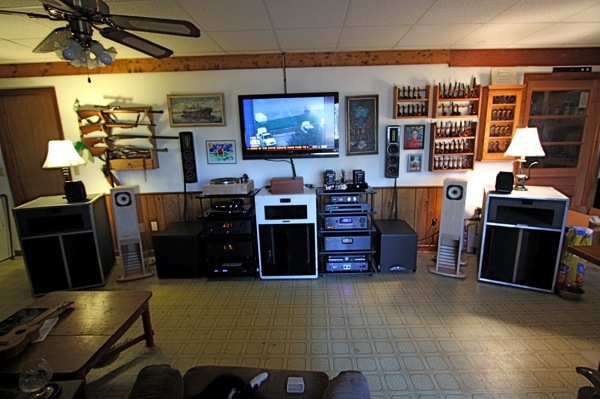 You can also see the Lowther Alerions that finally showed up and a pair of Scarabeo's Sunfire CRS-3 speakers on the wall. Here is a close up of this rack. My Sunfire Tube pre-amp doesn't have a phono section but it does have a remote. It is driving the CRS-3 speakers and the Rythmik Audio Sub. I bought this sub to use on my AN amp but it sounds so nice on the Sunfire set up I think I'll have to leave it here and get another. 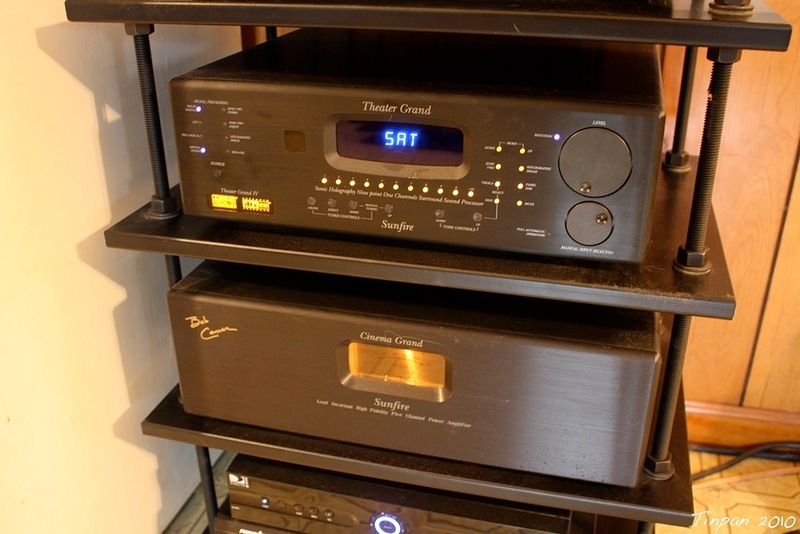 I am also contemplating getting another Audio Note L3 Phono section so i can connect this turntable to the Sunfire pre-amp. I would be interested in ideas for this. I bought this turntable and used it with a TG V driving the Sunfire Stereo amp. It sounded wonderful so i think I am back into vinyl. 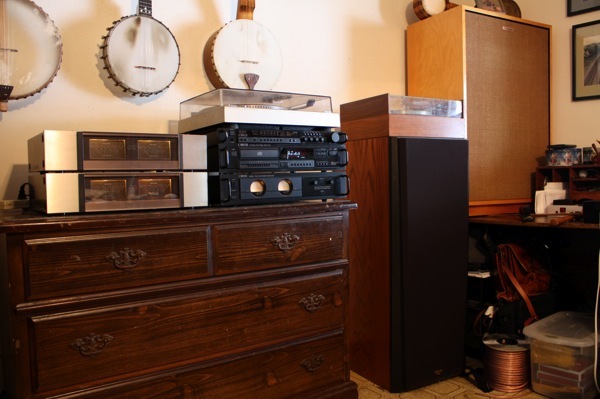 I think though that I will get a different turntable for this system and use the Thorens one of my AN set ups. Here you can see the Rythmik Sub. 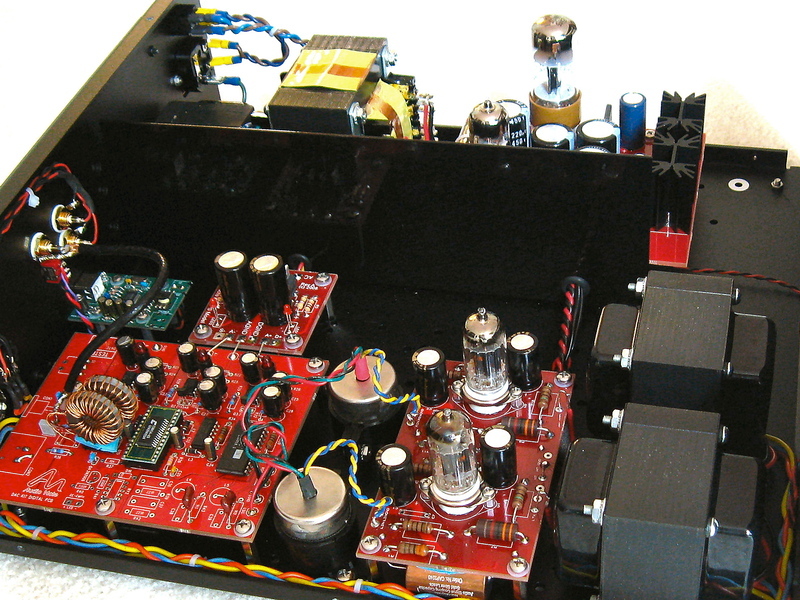 I am also seriously thinking about upgrading the Eastern Electric DAC to an Audio Note kit DAC 3.1. I really like that DAC. I added the Oppo 981 so I can play cds through the Sunfire. I also got a 980 for my dad's system, I think these old Oppo DVD players are great inexpensive cd players. 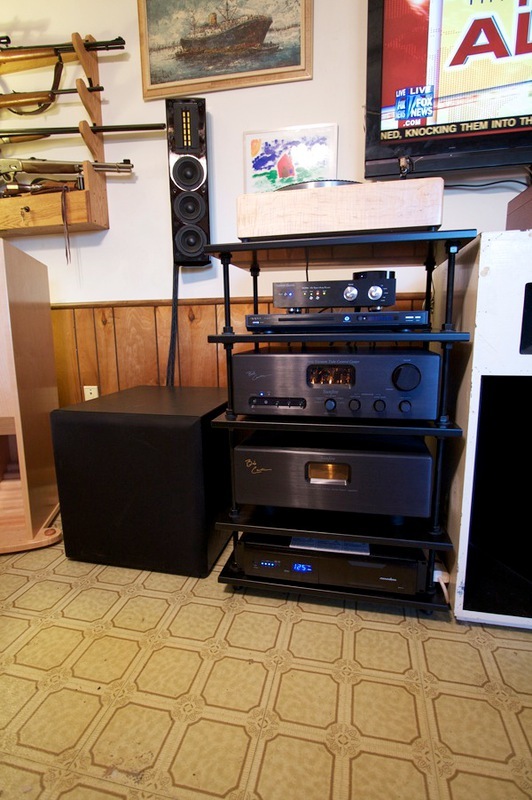 My next move with this set up will probably be adding the phono stage and turntable, upgrading the DACs, upgarding the Klipsch sub to another Rythmik Audio and adding a Rythmik Sub to the AN tube amp here. I would also like to upgrade the CRS-3 speakers to something else, not sure to what yet, though. Luckily, I'll be moving to a bigger place in a couple months. 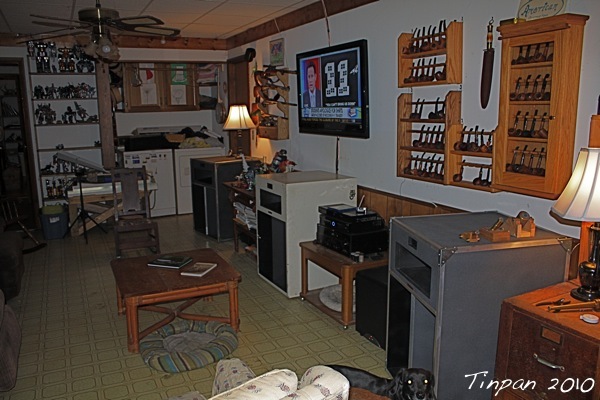 Here is my other set up in this room. I know it's not Carver, but I thought you might get a kick out of it. 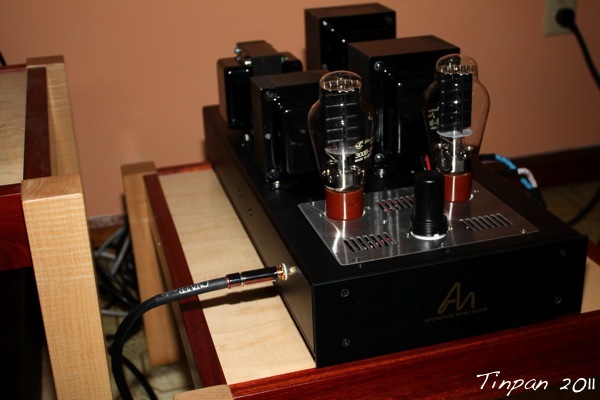 This is a pair of Lowther Alerions with PM5a drivers being driven by the Audio Note Interstage Mono Blocks. These are 300b tubes in a PSE config. I originally wanted the SET config but they weren't going to be available for months so i went with this set up. I hindsight I am glad I did, it sounds awesome. I had the HHG stands built for these amps to match the Alerions. I kind of screwed up doing that because I added a phono stage, DAC and turntable. Now I need a five shelf rack. ah well. Here is the AN DAC 3.1. The AN DAC has a USB port. I never tried a USB DAC so i tried that out. I had to download another program to MAKE the Mac play through the USB port. I never knew that you couldn't play iTunes through a USB port. The first program I tried was Pure Music. I was shocked at how nice it sounded. I don't know if the DAC made the difference or the software, or both. It definitely sounds much better than playing iTunes directly to the Eastern DAC. You can also play FLAC files and you can play all of it through the Apple TV's using another program called Air Foil. Hell of a transformation Tinpan! 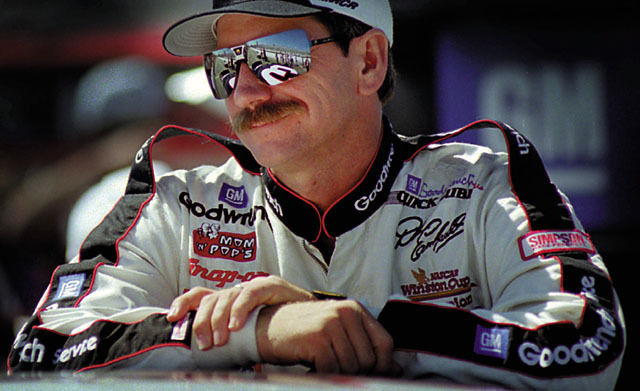 Love the tubes, brother. All I can say is WOW!! Ok, maybe I can say more! What a journey you have been on! Very nice improvements. Lots of good equipment you have there. Hows your bank account doing after all the upgrades you have done?? Congratulations on your systems. As Mr. Carver would say, "Enjoy the Music! What a great journey, it looks great. helicopterpilotdoug wrote: All I can say is WOW!! Ok, maybe I can say more! What a journey you have been on! Very nice improvements. Lots of good equipment you have there. Hows your bank account doing after all the upgrades you have done?? you've got room for another pair of speakers in there!!! Don't those pipes & banjos rattle like a mother when you have that cranked up?!? Hows your bank account doing after all the upgrades you have done?? I went to pick up my mono blocks and Pete had his phono stage sitting there not connected, so i talked him out of it. Then I had a rectifier tube let loose, it looked much like the movie Star Wars played fast forward in 5 seconds, in case you are wondering what it looked liked. I went to Pete's to pick up a new one and left with his personal DAC. That really hurt....but it sounds sooo goood. 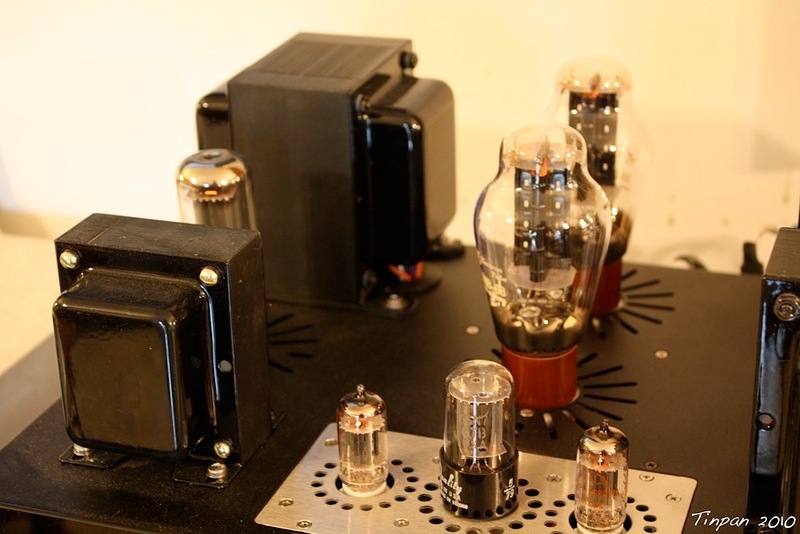 I may be ruined, I am thinking about added a AN tube phono stage to the Sunfire Tube pre instead of waiting for a phono version of it. Yes, doesn't everyone's wife support their hobbies ? nice-- tell us more about the 300B and your Lowthers please. Just great! What a transformation! Loving the tubes! I had a friend many years back who had LaScala. We tossed back a few to those big guys. 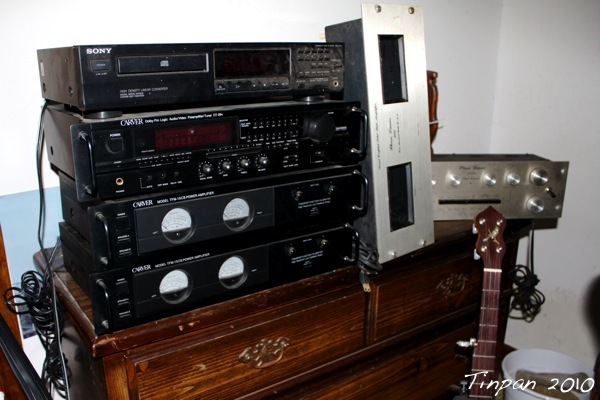 He pushed them with a Sansui amp, and of course that was before digital, so it was turntable and cassette music. As I recall, you could get some then and refinish them yourself. Some time back, I was looking for a pair for my bar, and found they are selling them again, but way more than I could justify on speakers for my Bar. A guy in Charlotte had a used pair for sale a few months back, but they were project speakers and over my head for repair. You have a lot of new and old stuff, I would like to hear your thoughts on them. One good thing about them is they are speakers and tables combined.